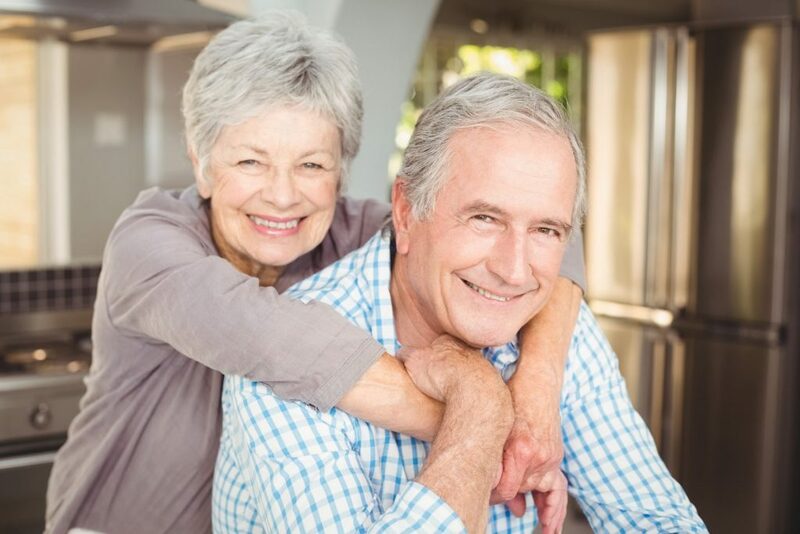 As aging in place becomes more popular, with the vast majority of seniors desiring to stay in their current homes indefinitely, a frequent concern with those contemplating remaining where they are is just what constitutes the ideal aging in place home. Alternately, for those people who are a little younger or looking to move into a home more suited to their needs, there is the discussion about building the perfect aging in place home. Both concerns are easy – and similar- to address. The short answer for both is that any home can be the ideal aging in place home because it isn’t so much the home itself but the way it accommodates the people living in it and provides safety, accessibility, comfort, and convenience for them. There is nothing exceptional or special that can be done to a home in advance to meet the needs of a person who might be living in a particular home because we can’t know what those needs are going to be. A universal design or visitable approach can address the accessibility and safety aspects of a home to an extent, but a specific aging in place design is going to need to wait until the needs and abilities of the people living in the home are determined. We can identify homes that are better designed for people to remain in them without needing to do any modification to address physical limitations that someone might have or that could be present in future years, but the search for the ideal home for aging in place is going to be long and unproductive because this is not really what defines aging in place. The premise or assumption that there are certain homes that make aging in place better or easier than others is a loaded question. The very idea of aging in place is that people get to remain living in the home they are in – regardless of how well suited that particular home is for their long-term needs. However, the more comfortable, accessible, and useful it is to those living in it, the more aging in place friendly it becomes. That’s where we come in as aging in place professionals. There are homes that really don’t allow a lot of flexibility for people who are facing mobility challenges or for friends, neighbors, or family who want to visit them. However, this does not mean that they can’t continue to live in those homes. If they like those homes, like the neighborhood, have a vested interested – as well as a financial stake – in remaining in those homes, then that’s precisely what they should do. Because they are living in those homes, those homes become aging in place homes. They may have shortcomings, and they may not be ideal, but those homes serve aging in place just the same. Whether a home is built specifically to accommodate the current and projected future needs of the occupants because they have anticipated well what they are going to require in future years, or it is a home that people are occupying long-term because they have little economic choice but to do so – or anything in-between – they all are considered aging in place homes. The better they meet the needs of the people living in them, the more ideal they are. There is no way to drive down a street and select the homes that are ideal for aging in place because every single one of them could be, or most could be challenging. There is no way to tell without knowing about the needs, abilities, and interests of the people who are living on them. There’s a good chance that there are going to present some entrance issues in terms of the number of steps that must be climbed to get into the home – contrasted with a home that no steps at all – or that they are going to have other exterior issues. Nevertheless, inside, they may serve the needs of the occupants well. This cannot be known without a closer inspection. Aging in place is about people remaining in their current homes for as long as they desire. If they have the ability to seek and acquire another home to live in, they can be more selective in what it includes and offers for their remaining years. However, aging in place, as a concept, is not about finding a more suitable home and moving into it but rather making the most of the home they have currently. Certainly, there are homes better able to accommodate their occupants over time than others, but our challenge is to determine how to make the other homes that are not as well designed or attractive to function well also. Any home, as-is or with some work, can be the perfect aging in place home.